Wolverine Wellness wants to hear from you! Focus groups will last about an hour and will include up to 12 U-M students. You will receive a $15 Visa gift card for your participation! Many students, staff and campus departments work to support student health and well-being. Student input is essential in shaping the resources and priorities given to various health issues. This project is to learn directly from students about how to serve you best, increase cultural humility within campus health resources, and contribute to health equity on the U-M campus. What will happen with the info gathered in focus groups? 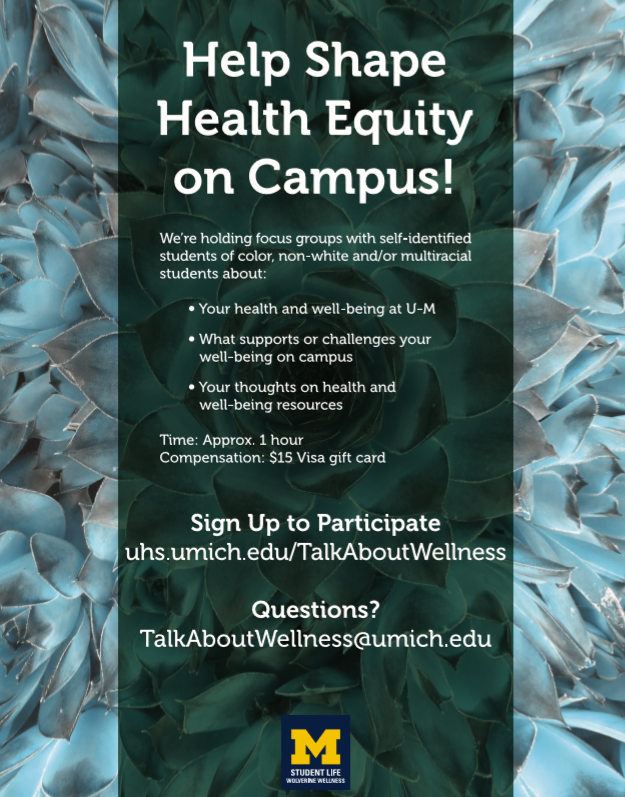 Wolverine Wellness student- and professional staff will be compiling the comments from focus groups into recommendations for how to improve health equity on campus. These recommendations will be shared directly with staff working on health and well-being at the University, including several leadership teams and coalitions that make decisions about programs and resources for students. While we can't guarantee confidentiality within the group itself (in other words, the other students in your group will see you and hear your comments), all data/comments from the focus groups will be stored confidentially and separate from any identifying information. You will not be identified throughout any use of the data, such as if we put a quote in a report.  Focus groups will be facilitated by a trained student who works in Wolverine Wellness. Is there another way I can participate? Yes! If the focus group format doesn't work for you, please contact talkaboutwellness@umich.edu to get in touch. Health equity can be defined as "the attainment of the highest level of health for all people." On our campus, we know that health and well-being is not experienced equally by all students, and we seek to make health and other resources more equitable and responsive to what students need and want. You can read more about health equity at the SFSU Health Equity Institute site.